Space Aliens: Can our Civilization Live With Them? Can It Live Without Them? The sci-fi classic, The Day the Earth Stood Still, was released in A.D. 1951. Michael Rennie starred as Klaatu, an extra-terrestrial who comes to Earth, and gets shot and killed by some earthly idiots. His invulnerable robot Gort attempts to even the score by destroying scores of tanks, aircraft and US soldiers. Gort eventually takes Klaatu’s body into the space ship and flies off to their distant home planet. After Klaatu and Gort leave, the nations and armies of the world (which had previously been fighting endlessly among themselves), unite to prepare for another possible attack by Gort et al. The point to the story is that the proven existence of extra-terrestrials could cause an enormous change in mankind’s system of values. Similarly, what kind of change in mankind’s current system of values might be expected if evidence accumulated that extra-terrestrials did not exist? To know that there are other intelligent civilizations on alien planets would push our system of values in one direction. Similarly, to know that there are not other intelligent civilizations on distant alien planets would just as surely push our values in the opposite direction. Dr. Kent Hovind is a Christian minister and has been America’s leading advocate of Creationism for at least 20 years. His crusade against the Theory of Evolution eventually brought him into confrontation with the federal government. Back about A.D. 2007, the government tried him for a number of causes and sentenced him to ten years in federal prison. He should have already been released, but the government has decided to try him for some more causes and is currently threatening Dr. Hovind (who’s in his 60s) with another 20 years in prison. You might think it odd that the government would be so incensed by a minister who advocates Creationism, but if you’ve read any of the “man or other animals” articles on this blog (especially, my A.D. 2006 legal defense based on this subject), you can see that: 1) animals have no meaningful rights; 2) government has expressly defined us to be “animals” in relation to food, drugs and (medical) devices at 21 USC 321 in order to strip us of our rights. So far as I can see, the only defense against government’s presumption that you are an “animal” is to claim to be a “man made in God’s image” who’s given “dominion over the animals” and therefore can’t be an animal. Because the status of “man made in God’s image” flows from Genesis 1:26-28, that’s a fundamental principle of Creationism–for which Dr. Hovind is a primary advocate. The Theory of Evolution has government’s approval because under that Theory, all of us are “animals”. That’s why government hates Creationism because under that element of religion, we can’t be treated as animals. I doubt that when Dr. Hovind was convicted about 8 years ago, he fully understood that his advocacy of Creationism posed a mortal threat to the current governmental system. But I strongly suspect that the judges and prosecutors understood the threat Dr. Hovind posed, and therefore locked him (and his wife) up for eight years. His wife has been released, but Dr. Hovind is still being held and is facing a new prosecution that might get him imprisoned for another 20 years. If the government can get that second convictions, Dr. Hovind might spend the balance of his life in prison. To most people, the fight between Evolution and Creationism may seem like a mere intellectual debate of little real importance. But that’s not true. 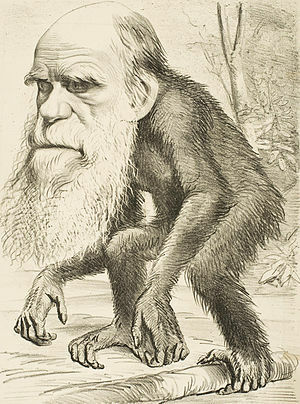 The struggle between Evolution and Creationism will determine whether and your family have any claim on the God-given, unalienable Rights declared in our Declaration of Independence, or if you can be employed as a “human (animal) resource” and deemed to have no more rights than a cow walking up the ramp into a meat-packing plant. The struggle between Evolution and Creationism is an essential evidence of spiritual warfare that’s being waged by the upper echelons of the US government against the people of The United States of America. This conflict is no game. It’s as big as it gets. Incidentally, in his upcoming second trial, Dr. Hovind is being tried by the same federal judge and the same federal prosecutor as succeeded in convicting him in his first trial, 8 years ago. What a coincidence, hmm? That judge refuses to recuse herself. • Rudy Davis and his wife Erin have been working tirelessly for the past six or eight months to cause Dr. Hovind to be freed from prison. You can only hope that if you are one day imprisoned that you have a friend as dedicated and determined as Rudy and Erin to work for your release. Here’s a recent video of Rudy Davis demonstrating his shock and even rage at the injustice that’s being perpetrated by the “best legal system in the world” against Dr. Hovind. You can see Rudy’s concern, shock, dismay and, if you watch the whole video, his righteous rage at the judges and prosecutors who are again working to destroy Dr. Hovind’s life. At times Rudy is almost speechless. This is not a video of someone who’s simply reading a script. If you watch the entire video, you’re going to see something so real, so moving, that you may, yourself, be shocked. Like I said, you can only hope that if you’re unjustly imprisoned, you have someone on the outside who’s as determined to set you free as Rudy and Erin Davis. I’ve recently made contact with several people with whom I went to high school. I haven’t seen or talked to any of them in most of 50 years. Hard to believe. 50 years?! How th’ hell did that happen?! One of them (John S.) actually took the time to read a couple of my blog entries. I was delighted. John then sent an email asking for my opinion on an article about a particular anthropologist. I started to read the article—and I’d like to have responded to the contents of that article—but I was quickly diverted by descriptions of the anthropologist’s dedication to Darwin’s theory of Evolution.